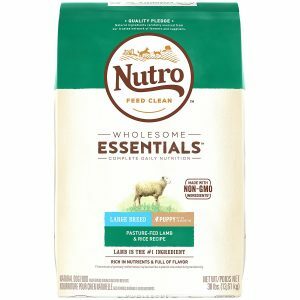 Looking For The Best Large Breed Puppy Food For German Shepherds? Here’s a look at our favorites, including our top pick – Wellness Complete Health Natural Dry Large Breed Puppy Food, Chicken, Salmon & Rice, 30-Pound Bag. 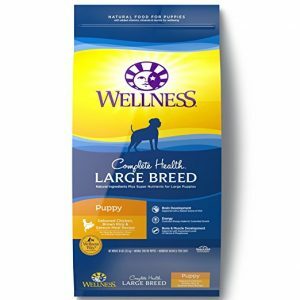 Different sizes and breeds of dogs have different nutritional needs. Large breed dogs carry more weight on their frames, so they need strong bones and joints to stay mobile. 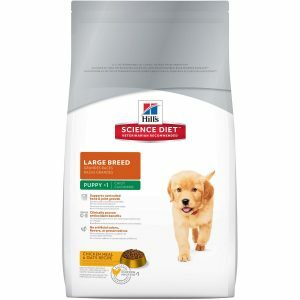 Large breed puppies also have a longer growth cycle and faster potential growth rate, so they have a unique physical composition that requires unique nutritional attention. German Shepherds in particular have a few unique features that can come into play when you’re selecting what to feed them. 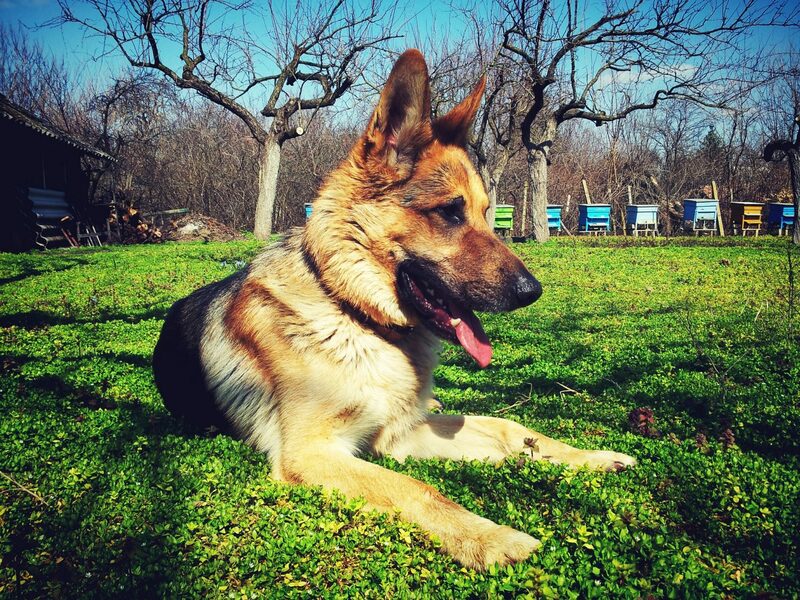 In addition to having general more sensitive skin, German Shepherds have a double-layered coat with a dense undercoat. 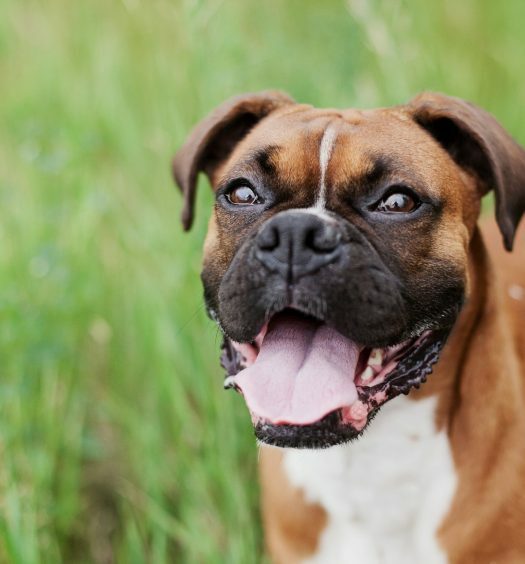 They’re more prone to hip dysplasia than other breeds, and they have a long muzzle with strong teeth and powerful jaws. 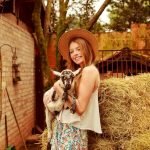 Protein source – the protein in dog food typically comes from beef, chicken, lamb, or fish. A high-quality protein should be the first ingredient on the packaging. Fiber content – food that doesn’t have enough fiber can deregulate your dog’s digestive system, leading to constipation or diarrhea. 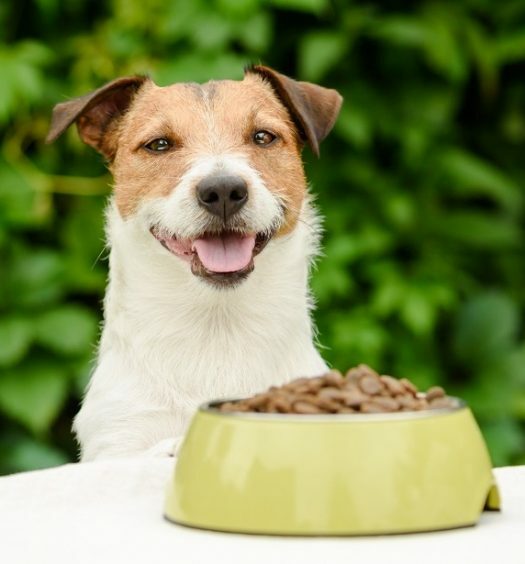 Fat content – healthy fats are an important ingredient in dog food, but foods that list a fat as one of the first four ingredients may be using too much fat. 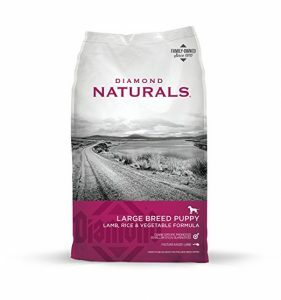 Vitamins and minerals – generally speaking, just about every commercial dog food should have optimal levels of vitamins and minerals. The only time a vitamin or mineral deficiency is probable is when your dog is on a special diet, such as a home-cooked or raw-food diet. A purposefully engineered level of calories and healthy fats to encourage steady, paced growth. 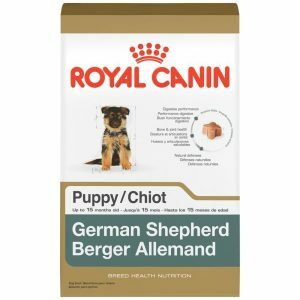 Royal Canin is best known for producing high-quality, breed-specific pet food, and it’s a fascinating approach to purposeful nutrition. Dogs with different jaw structures, muzzle lengths, lip patterns, and biting patterns will each pick up kibble differently. Small breed dogs tend to have more stress on their spine, while large breed dogs will have more pressure on their joints and cartilage.